Leila shares in her blog that she wants to explore her roots in the Philippines. 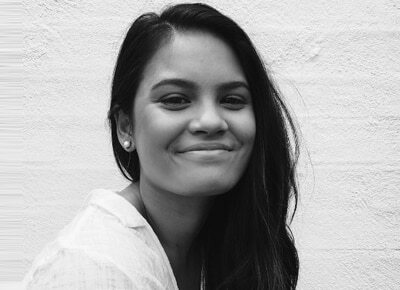 After staying in Australia for more than a decade, Leila, Ogie Alcasid’s eldest daughter with his former wife Michelle Van Eimeren, made a big move and announced that she’s is planning to move back to the Philippines in 2017. The 19-year old also launched a blog for her journey to her father’s homeland. In her blog, her first entry was a little background about her moving to Australia when she was about 4 and a half years old. "Visiting Manila every so often over the years has afforded me the opportunity to peek into the vibrant Filipino culture and the kind people that it consists of– an opportunity I will forever be grateful for. However, with 14-and-a-half years in Australia beating the time I had in Manila, learning about the other half of where I come from is a necessity,” she wrote. "As of January 2017, I will be living and learning and growing in Manila, bonding with my wonderful family that so far I have only gotten to see every few months. While I'll miss my beautiful mother, step-father and sister back home, comfort lies in the fact that traveling is our thing; i.e. I know they'll visit soon enough and join me in relishing in the greatness of the Philippines,” she revealed. Her blog will soon be filled with her adventures. In the end she said, “Stay tuned for what will surely be hilarious mispronunciations and misspellings as I try to learn Tagalog."